« Interactive Selection write Best Practice Recruitment Guide for all of games industry. Supported TIGA from day 1. 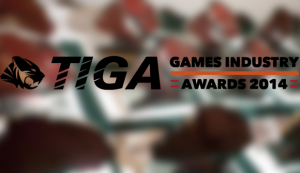 Interactive has been an affiliate member of TIGA for 14 years. Leads industry in addressing the gender imbalance in games sector. Interactive created Women In Games Jobs (WIGJ), a “not for profit” that works to recruit more women into the industry. It runs a series of events including an annual conference supported by TIGA which makes a real difference to the small number of women in the industry and is starting to make a difference with a large number of men. Interactive wrote in 2012 TIGA’s Best Practice Guide to Recruitment & Selection in the Games Industry. We also work directly for many members. Provides free job advertising for TIGA members. Interactive’s Job Board, Games Job Board powers the job board for TIGA members on the TIGA website. This is free resource for TIGA members. Leads professional standards amongst games recruiters. Interactive is a long standing member of the recruitment trade association, REC that commits members to high standards. No other games recruiter in TIGA is a member.